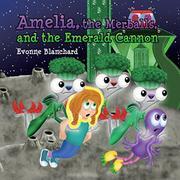 Great Review from Kirkus for, Amelia, the Merballs and the Emerald Cannon! A space-traveling girl continues gathering items to help save her alien friend’s sister in this third series outing. In two previous children’s books, 8-year-old Amelia, a white girl with reddish hair, agreed to help Uglesnoo, a three-armed purple alien from Pluto, cure his ailing sister. A repelling crystal from Neptune will heal her, but that planet’s Queen Neep will barter it only in exchange for a long list of objects from around the solar system. Some the duo has already collected, like five boxes of dandelions from Earth. Next on the list: five pairs of flying shoes from Mercury, inhabited by Merballs. Hostile Venutons of Venus, the twosome’s last stop, try to prevent Amelia and Uglesnoo from trading with the Merballs (“Do not keep these criminals. Bring us the prisoners”). But the Merballs are basically friendly and don’t want trouble. They have problems of their own: They are suffering from asteroid strikes that create a sickening fog of dust, hospitalizing many. After another asteroid hit, Amelia and Uglesnoo come under suspicion and are briefly imprisoned. They fall into an old iron mine, from which they escape. Amelia develops a cunning plan to smash the asteroids with a cannon of her design, using raw materials from the mine. If she’s successful and a grateful Empress Ping rewards them with flying shoes, they’ll be one step closer to curing Uglesnoo’s sister—and maybe Amelia will have a chance to try out Mercury’s inviting slide transportation system. Blanchard (Amelia, the Venutons and the Golden Cage, 2016, etc.) writes a fast-paced tale with a young heroine who’s a quick thinker. Designing and crafting the cannon shows Amelia’s ingenuity and reflects the current interest in maker culture. There’s also plenty of silly fun, such as the green slime floor in the prison cell that almost engulfs Amelia and Uglesnoo, as well as cool tech, like the Plutonian’s multifunctional bed, which plays a role in their escape. Palmisano’s (An Amazing Circus of Phonograms, 2017) illustrations are colorful and three-dimensional, the mix of Earth and alien characters having a family resemblance in their googly eyes. Adventure, inventiveness, and humor merge in this quirky, appealing tale. Famous Constellations: Ursa Major, Ursa Minor and the Big and Little Dippers! Now you’ve all heard of the famous Big Dipper and Little Dipper. I’m sure you also know about the Big Bear and Little Bear constellations or to use their latin terms, Ursa Major and Ursa Minor. But did you know that the the group of stars commonly known as the Big Dipper and Ursa Major are actually the same thing? And that the stars that make up the Little Dipper are also a part of the Ursa Minor constellation? Or to be more precise, the handle of the Big Dipper is the bear’s tail and the the dipper’s cup is the bear flank in the Big Bear constellation. The Little Dipper is the bear’s tail and flank in the Little Bear constellation. In fact both the Big Dipper and the Little Dipper are actually not constellations but asterisms. An asterism is a distinctive group of stars. But how did the Big Bear and Little Bear constellations get their names? Well every civilization has a different story, but what’s unusual about these constellations is that a lot of diverse cultures all decided that these two particular constellations looked like bears. Native Indians in both Canada and the USA identify these constellations as bears, as well as the more familiar story from Greek and Roman mythology. Native Indian stories tell of a dramatic bear hunt led by a fearless warrior across the night sky. The ancient Greeks and Romans – as usual- have an even more elaborate story to explain these bear-like constellations. Callisto, a beautiful young woman was out hunting in the forest. She became tired and decided to take a nap. Whilst she was sleeping, she caught the eye of the god Jupiter (Zeus in Greek Mythology). Jupiter’s wife, Juno, (Hera in Greek Mythology) became extremely jealous of Callisto, because being jealous is Juno (Hera’s) main hobby. Yes, she desperately needs to get another hobby. Anything will do! Later, Juno found out that Callisto had given birth to a son. She believed that Jupiter (Zeus) was the father of her son. Driven mad by jealousy Juno, (Hera) transformed Callisto into a bear, so she would no longer be pretty. Callisto’s son was named Arcas. He ended up being adopted and also grew up to be a hunter. During this time Callisto still lived in the forest as a bear. One day Callisto-the- bear strolling through the forest caught sight of her long-lost son Arcas. She was so excited to see him that she ran up to him, forgetting she was a bear. Arcas thought the bear was about to attack him and and shot an arrow at Callisto-the-bear, his actual mother. Fortunately from up high in Olympia, Jupiter (Zeus) saw the arrow and prevented it from killing Callisto. To save Callisto and Arcas from further torment from Juno (Hera), Jupiter (Zeus) decided to change Arcas into a bear as well. Then he grabbed both bears by their tails, and flung them up in the night sky as the Big Bear and Little Bear constellations and there they stay, immortalized for all time. The best time to view both these constellations is in early Spring, at around 9pm, (latitudes +90 degrees and -30 degrees). You can either use a sky chart (downloadable on the internet) or an app. My favorite stargazing app is the Sky Safari app. It’s an excellent tool for quickly identifying the constellations as they rotate through the celestial heavens! Amelia receives an alien named Uglesnoo from Pluto for her birthday. He desperately needs help! Should Amelia venture into outer space? Check this exciting space adventure out for FREE on Kindle Unlimited! 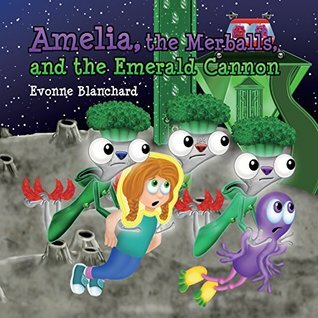 Amelia, the Merballs and the Emerald Cannon, the third book in my Amelia’s Amazing Space Adventure Series – set on Mercury – is due out very soon. I’m sharing a sneak peek with you. What crazy adventure is about to take place this time? Name: Earth is the only planet not named after a Greek or Roman God or Goddess. Instead the name simply means the soil beneath us. It is thought that the word came from both the English and German words, ‘eor(th)e/ertha’ and ‘erde’, which means ground. But who named our planet in the first place? No-one knows…it remains an earthly mystery! What’s the most amazing thing about our beautiful planet? The answer to that is easy…it’s the only planet with life on it And not just in our solar system. As far as we know it’s the only living planet in our vast universe. But what makes earth even more special is the huge diversity and variety of all the life upon it. Why do we even have life on Earth? Well our planet has a number of unique features. The most important is thought to be Earth’s large amounts of water and in just the right amount. Not too much that it covers everything, but not too little that it becomes a desert, like Mars and Venus, (the closest planets to earth). Our plate tectonics – the movements of the Earth’s crust- are also thought to be important. Scientists believe they created our mountain ranges and deep oceans. They also keep our oceans at an even temperature, helping life to flourish. But why is Earth sometimes called the Goldilocks planet? Well if you remember the ‘just right’ part of the Goldilocks story, Earth is as choosy as that little blonde girl. She picked just the right distance from the Sun to have the perfect heat for life to begin and evolve. Another perfect thing about Earth is its size. If she was smaller, we wouldn’t be able to hold onto our atmosphere, any larger and she would be too hot for life. Our moon is also thought to play a role in life on Earth. She pulls the ocean’s tides and life is thought to have evolved from the oceans. So are we really alone in this enormous universe? Or might there might be other Earth-like planets harboring aliens like Uglesnoo, the cute friendly alien in my childrens’ books? Well as you can see from reading this blog, it takes a lot of special features to create a Goldilocks planet. However the universe is so huge that scientists believe there should be many planets out there, just like ours. And where there is another Earth-like planet, there might be life. Maybe one day…Goldilocks will find her twin. Earth is also where my story begins in book one of Amelia’s Amazing Space Adventures, Amelia, the Moochins and the Sapphire Palace. Amelia receives a gift for her birthday. The present turns out not to be a present at all, but a fun friendly alien called Uglesnoo from Pluto. Uglesnoo desperately needs Amelia’s help. Should she venture into outer space?